You’re likely to experience some backaches as your baby grows in size and your body continually adapts to accommodate her. You will become much more aware of your baby moving as her size and strength increase. You will not be aware of the more gentle movements, or those movements that do not hit the side of the uterus. The increasing weight of your developing baby, and the fact that your joints and ligaments soften in pregnancy, can cause backaches, but thankfully you don’t just have to put up with this pain. There are many simple ways in which you can ease a backache or even prevent it (see Banish backaches). See your doctor to make sure that the problem and its exact location is properly diagnosed. This way you’ll have more chance of stopping it from becoming worse. A common problem, often in later pregnancy, is sciatica—a sharp pain that travels down the back and leg. Take a warm bath or use a hot-water bottle on the painful area. Ask your partner to give you a nice back rub, or get yourself a massage with an experienced prenatal practitioner. Go to yoga or Pilates classes to strengthen your back muscles. Watch your posture (see Pregnancy posture), and raise your legs when seated. Ensure your car seat is properly positioned to support your back. In the second trimester, fibroids—a benign mass of muscle fiber within the uterine wall, or occasionally attached to it—can become problematic. Increased levels of the hormones estrogen and progesterone during pregnancy encourage them to grow along with the uterus. In some circumstances, the rapid growth of the fibroid causes feelings of pressure, discomfort, or pain. Fibroids may increase a woman’s risk of miscarriage, preterm birth, or having a baby in the breech position which usually resolves the problem. Fibroids that do not cause discomfort do not require treatment. The fibroid will not usually affect the developing baby, but if a large fibroid is positioned low down in the uterus or near to the cervix it can prevent the baby from descending into the pelvis, and a cesarean delivery will be necessary. Once the baby is born and the uterus shrinks, the fibroids will also usually shrink to their pre-pregnancy size. Congratulations—you’re now halfway through your pregnancy. In around 20 weeks’ time, you’ll be a mom. Although your baby may be sucking her thumb, this is a very complex action that is not fully developed at this stage. For this reason, your baby is as likely to put her fingers or toes in her mouth as her thumb. Does it seem like a lifetime, or has it flown by? At least from now on, you really will be counting down. Hopefully, at this halfway point you are feeling fine physically. You’re not yet encumbered by a large belly and probably have a reasonable amount of energy. Psychologically, you may still be very emotional, although you will no doubt have gotten used to any mood swings by now (as will your partner). 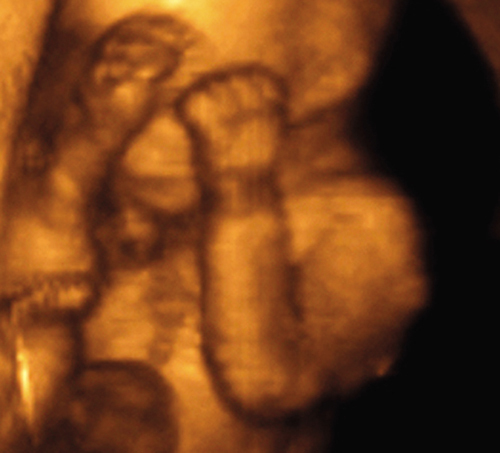 At this stage you will continue going to prenatal appointments around every four weeks. Remember, your doctor is there to monitor your health and your baby’s progress, but also to help, so get her advice on how to deal with some of the discomforts you might experience as you grow bigger. The gestation period for an elephant is an incredible 22 months, making it the longest of any land animal. In addition to this, the common birth weight for elephants is 260 lb (120 kg). So, if your pregnancy is already starting to feel long, and your baby a tad heavy, spare a thought for our large-eared friends! Q: I haven’t felt my baby move yet. Should I be worried? A: While you understandably want to feel your baby’s movements, there is no cause for concern yet since your recent scan should have shown you that all is well with your baby. If it’s your first baby, you may not notice the early movements since you won’t know what to expect. Also, if you’re an active person, these slight flutters may be missed. Women with a placenta lying at the front of the uterus may feel movements later, as may larger women since the movement may not be detected through the flesh. Once you do feel movements, don’t become too focused on every one. It’s not until around 28 weeks that it becomes important to monitor the pattern. 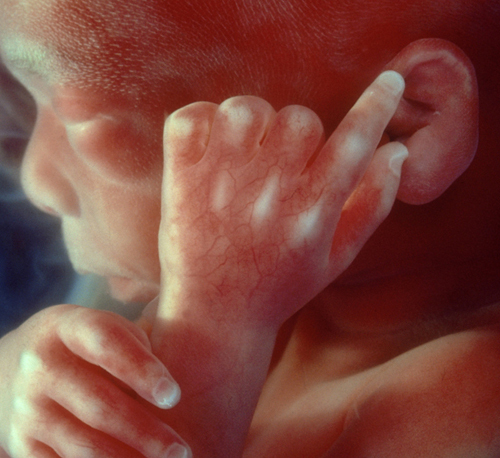 From this stage, the amount your baby moves, as well as the type of movement and when it happens, are relevant since these indicate that the placenta is sustaining the pregnancy and your baby’s muscles are developing. If you’re concerned about lack of movement from your baby at any stage, speak to your doctor. Good posture can help to minimize pregnancy discomforts, including backaches . When seated, make sure your lower back is supported by the back of the chair and keep your feet flat on the floor (see image). Yoga is a great way to learn to hold your body correctly, including how to keep your spine aligned and your lower back supported. Sit upright on a chair with your legs wide apart and your feet firmly on the floor to align your spine. Make sure your lower back is resting against the chair.